According to the 2015 Genworth Cost of Care Survey, the price tag of assisted living is based on what borough of the city you are choosing. While some of the boroughs have an annual living cost that is higher than the national U.S. average of $43,200, other boroughs have an annual cost that is less - a metric that is somewhat surprising considering the typical cost of living in New York in relation to the rest of the country. Specifically, assisted living in Brooklyn and the Bronx cost less on an annual basis compared to the national average. It should also be noted that the average cost of assisted living in Manhattan slightly higher than the national American average, as it checks in at $69,420 per year. Whatever borough is considered, the price tag for assisted living is well below the annual cost of nursing home care, which can average $154,213 annually for a semi-private room and $158,775 annually for a private room. While each assisted living community strives to reach the endgame of providing a secure and comfortable living environment for its senior residents, they all go about achieving this goal in different ways. The differences depend in large part to what area of New York you choose to live in, as the facilities tend to take on certain characteristics that are indicative of the neighborhood that surrounds them. In other words, an assisted living experience amongst the bustle of Manhattan is going to be different than the experience you get in the quiet semi-seclusion of Staten Island. Typically, these differences manifest themselves in the form of a la carte services that are in addition to the services that are included with the monthly residential fees. Private living quarters. These spaces are typically the size of a studio or a 1-bedroom apartment, but can sometimes be as large as a small house. 24-hour security and supervision. This includes on-call nursing assistance and on-site security. Emergency call systems in each living space in case help needs to be summoned. Basic utilities such as electricity, water, and natural gas. Daily meals and snacks. These are oftentimes served restaurant style in a main dining area. Housekeeping and laundry services. These usually include a weekly linens change and a weekly cleaning service. Shopping and transportation services. These are oftentimes provided on a regularly scheduled basis and are tied to trips to local grocers, medical centers, and retail shops. Wellness and fitness programs. These involve the use of traditional fitness equipment like gyms or pools, but it also includes modern elements like yoga. Medication services. These include reminders to take medications on time as well as refill reminders. Social and recreational activities. These could include game nights, movie nights, religious services, or field trips to points of interest like Central Park, the National September 11 Memorial Museum, and the Statue of Liberty. 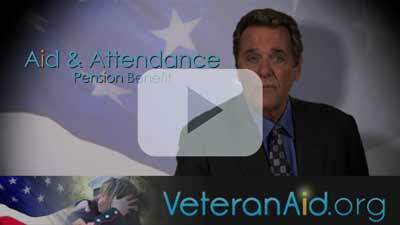 The New York State Division of Veterans’ Affairs assists the state’s numerous veterans make their way around the VA benefits system. They also provide veterans the opportunity to volunteer and help other vets make their way through the system so they can figure out their benefits. New York is home to several military-themed points of interest that senior veterans may want to visit. Amongst these venues is the Intrepid Sea, Air & Space Museum complex, which allows visitors to take a tour of the USS Intrepid aircraft carrier and explore various artifacts and exhibits. Another key museum is the Harbor Defense Museum; a 19th century-fort that is home to period weapons, uniforms, and more.